Honda GK,GK3 and GK5...Any change on them??? Honda FIT/JAZZ GK,GK3 and GK5...Any change on them??? Last edited by StormSurfer; 04-23-2014 at 01:24 PM. The next 8 is called a "check digit" that is used in a mathematical formula using the other digits to verify that a VIN is correct. So you see, you can learn allot about a car from the VIN. There is no VIN digit to indicate for the paint color or leather interior. Hi there shakedown94.Welcome to FF.Thanks for the help.This is your first writing here on FF...Cool.I really don't know much about Honda engines and specs BUT i like and love my Honda Fit.I had add you to my friend list.I hope you can make a lot of new friends around here in FF.They are GREAT people.They like to help and always you can count of them.What year is your Fit??? Last edited by StormSurfer; 04-23-2014 at 03:43 PM. I am a long time Honda guy that stepped away. 1st car was used 1980 Civic hatch and have owned 5 others since then. But seriously looking at FIT. I am driving a 2012 accent 5 door 6 spd now. Readyto come back w/ the improvements on the GK. Will be looking to get a LX 6spd and doing intake/exhaust/suspension mods. Nice...I will keep a eye on your new '15 LX.Any color preference??? In White it look SUPER with black rims... . 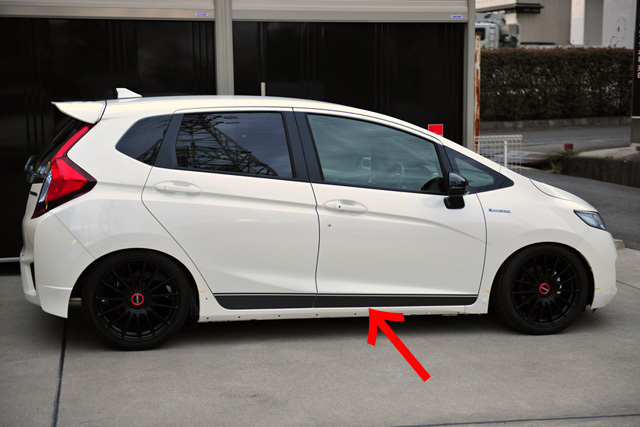 It look that the owner install a black stripe down below the doors and remove the side skirts when he install it.This new body style looks really nice.Crazy to see them with a drop and with mods in the street . If it was a GE8 then it computes to being a Canadian LX manual transmission car manufactured in Japan. Last edited by TCroly; 04-25-2014 at 06:35 AM. Does that mean 10,500 2015 Fits have been manufactured? I presume this is the count of just the Fits made by the Mexico plant, not world wide. At least that many. By the time you get yours, there would've already been more made. As for the running count being limited to just the Mexico plant... I'm not sure, but it's probable. In the VIN for my 2015 that highlighted #8 check digit is a "9". Should I be concerned about that? We just bought the car CFO from a Honda dealer. the check digit can be any number 0-9. It just happens to be an “8” in the example shown. Last edited by Uncle Gary; 06-21-2018 at 01:37 PM. Quick Reply: Honda GK,GK3 and GK5...Any change on them?? ?